This looping animation of a series of images taken between November 2013 and April 2015 with the Gemini Planet Imager (GPI) on the Gemini South telescope in Chile shows the exoplanet β Pictoris b orbiting the star β Pictoris, which lies over 60 light-years from Earth. In the images, the star is at the centre of the left-hand edge of the frame; it is hidden by the Gemini Planet Imager’s coronagraph. We are looking at the planet’s orbit almost edge-on; the planet is closer to the Earth than the star. Image credit: M. Millar-Blanchaer, University of Toronto; F. Marchis, SETI Institute. First discovered in 2008, beta (β) Pictoris b is a gas giant planet ten to twelve times the mass of Jupiter, with an orbit roughly the diameter of Saturn’s. It is part of a dynamic and complex system that includes comets, orbiting gas clouds, and an enormous debris disc that in our solar system would extend from Neptune’s orbit to nearly two thousand times the Sun/Earth distance. Because the planet and debris disc interact gravitationally, the system provides astronomers with an ideal laboratory to test theories on the formation of planetary systems beyond ours. The Gemini Planet Imager on the Gemini South telescope. 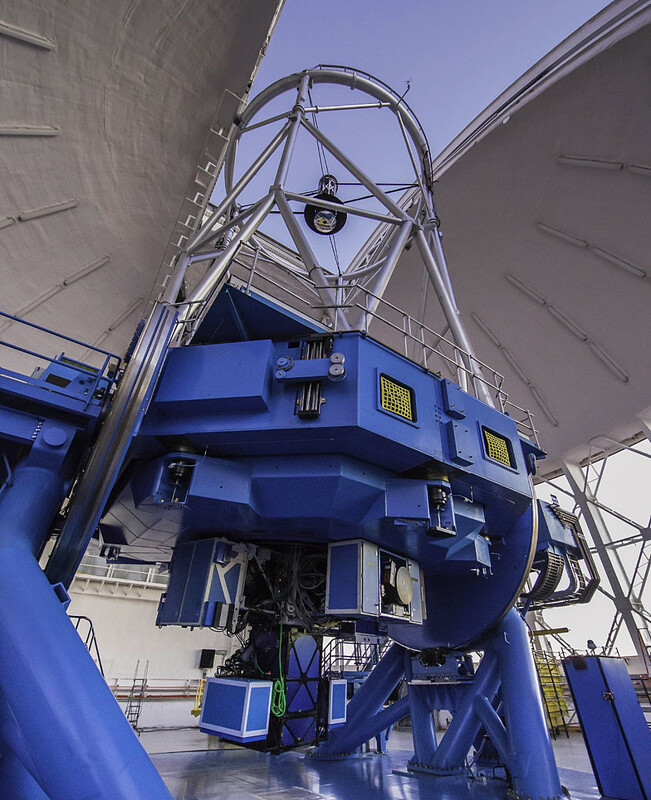 In the photo, GPI comprises the three box-like components attached to the telescope and hanging closest to the observatory floor. Other box-like components on the telescope are other instruments. Image credit: Manuel Paredes/Gemini Observatory/AURA. 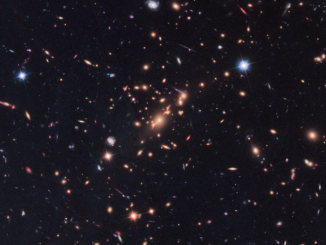 Maxwell Millar-Blanchaer, a PhD-candidate in the Department of Astronomy & Astrophysics, University of Toronto, is lead author of a paper published on 16 September in the Astrophysical Journal. The paper describes observations of the β Pictoris system made with the Gemini Planet Imager (GPI) instrument on the Gemini South telescope in Chile. The paper includes refinements to measurements of the exoplanet’s orbit and the ring of material circling the star which shed light on the dynamic relationship between the two. It also includes the most accurate measurement of the mass of β Pictoris to date and shows it is very unlikely that β Pictoris b will pass directly between us and its parent star. 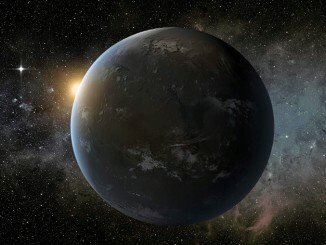 Astronomers have discovered nearly two thousand exoplanets in the past two decades but most have been detected with instruments — like the Kepler space telescope — that use the transit method of detection: astronomers detect a faint drop in a star’s brightness as an exoplanet transits or passes between us and the star, but do not see the exoplanet itself. 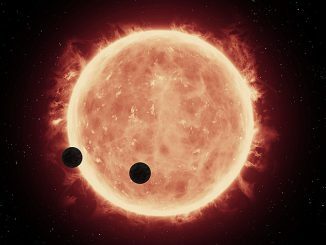 With GPI, astronomers image the actual planet — a remarkable feat given that an orbiting world typically appears a million times fainter than its parent star. This is possible because GPI’s adaptive optics sharpen the image of the target star by cancelling out the distortion caused by the Earth’s atmosphere; it then blocks the bright image of the star with a device called a coronagraph, revealing the exoplanet. GPI is a groundbreaking instrument that was developed by an international team led by Stanford University’s Prof. Bruce Macintosh (a University of Toronto alumnus) and the University of California Berkeley’s Prof. James Graham (former director of the Dunlap Institute for Astronomy & Astrophysics, University of Toronto). In August 2015, the team announced its first exoplanet discovery: a young Jupiter-like exoplanet designated 51 Eridani b. It is the first exoplanet to be discovered as part of the GPI Exoplanet Survey (GPIES) which will target 600 stars over the next three years. According to new research, the salt levels of oceans on distant Earth-like planets could have a major effect on their climates. Computer models reveal that exoplanets with very saline oceans could have circulation patterns opposite to that on Earth, resulting in dramatic warming of their polar regions, possibly extending their range of habitability.